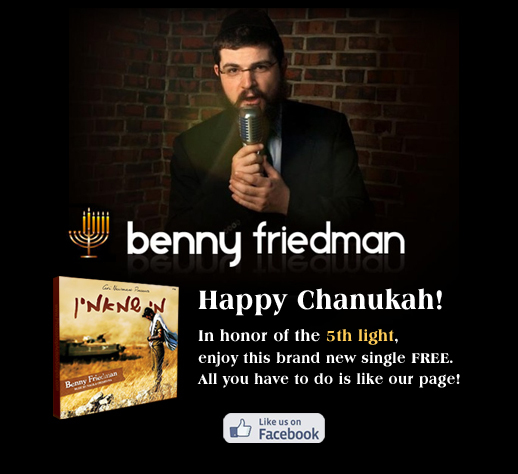 In honor of the 5th light of Chanukah, we offer you the all new single from Benny Friedman, "MI Shema'amin" for Free. All you have to do is go to the fanpage and click LIKE. If you are already a fan, you will be able to download the new song for free. Hurry though, because this will Chanukah offer will only be available for the 5th night and day of Chanukah.